Whereas most aesthetic-driven procedures serve to achieve a higher standard of beauty and good looks, when it comes to dentistry, it actually encapsulates both beautification and healthcare purposes. Many say that a perfect smile is the best piece of accessory one can have, so it’s only natural that dental clinics and high quality dental care is very much sought-after in the country. Choosing the right dental clinic and dental specialist is incredibly difficult, not only because consulting with a medical professional is always a challenge, but because it’s a question of trust and confidentiality, perhaps even more so than in any other medical field. Luckily, many dental clinics offer care of incredibly high quality and have gathered a convincing amount of experience that could make any patient considerably feel more secure and satisfied with their future choice. Listings is made up courtesy Budapest dental medical tourism portal site. Established almost 20 years ago (in 1997, precisely), Korona Dental guarantees the experience and expertise needed for any kind of dental work. With its clientele expanding to several thousand patients, it is safe to say that the company has already proven its excellence. Situated in the picturesque and historic city of Sopron, the clinic also offers to organise the necessary means of travel from nearby airports. Naturadent is a well-renowned dental clinic with a wide range of services, both medical and aesthetic, situated in the heart of Budapest, at the very centre of the city. The company and the clinic uses current and exceptionally modern techniques and technology for an all-around pleasant patient experience and to achieve the highest level of care possible – also providing high quality laser dentistry. RelaxDent offers a complete array of dental services ranging from medical to reconstructive and to aesthetic measures – practically any kind of process that involves teeth and dental care, hygiene (including paediatric dentistry). ImplantCenter is a company that specialises in dental implants but also offers other type of dental care as well, from basic medical services to more complex procedures such as tooth extraction, teeth whitening and implantation – also orthodontic care. Besides their Budapest headquarters, as of now ImplantCenter also has clinics in London, Geneva and Bern. 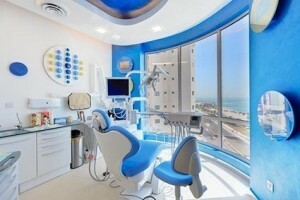 Swiss Dental in Budapest also offers both services pertaining to the field of dental surgery and aesthetic procedures. With a medical team that has a very high level of expertise and training and with exceptional quality Swiss materials they guarantee to provide impeccable care.